K-Drama Touching You A man who can see the future and an aspiring makeup artist meet under unique circumstances and start to fall in love. 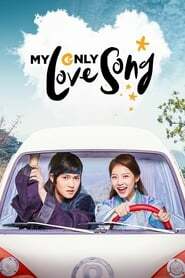 K-Drama My Only Love Song Song Soo-Jung is an arrogant pop star who believes not only that status and money can get you anywhere, but that it defines your worth. She accidentally falls into a time-slip portal and travels back in time to the Joseon era where she meets On-Dal, a man who loves money yet is generous to those without.